The Heart and Craft of Writing Compelling Description needs a new name. It should be called â€œEvery Writerâ€™s Bible.â€ It needs to be read and reread. It needs to be carried around with you. It needs to get worn and tattered with underlines and margin notes because you keep referring to it so often. Author Sharon M. Lippincott likes the word savor â€“ a perfect word for this book. Itâ€™s one to be savored throughout all your writing endeavors no matter in which genre you write: nonfiction, life story, memoir, fiction. 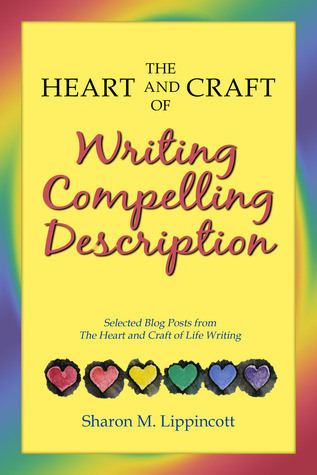 Youâ€™ll find what youâ€™re looking for to help you write better descriptions in this book. Isnâ€™t that a great word â€“ scintillating? But Iâ€™ll bet Sharon will tell you to avoid using it when writing description. Sheâ€™ll ask you to write down the details to show what you see, as she does in the paragraph above, instead of using telling descriptive words like scintillating, sparkling, amazing, awesome. In this book, she shows you how. And I predict youâ€™ll have lots of fun learning. Iâ€™m writing a novel now. The Heart and Craft of Writing Compelling Description will stay by my side until Iâ€™m finished. Sharon Lippincott is hooked on all forms of life writing, especially memoir and journaling. Sheâ€™s a dedicated lifelong learner and loves sharing discoveries with others. She teaches classes and workshops on basic memoir and lifestory writing as well as specific skills like writing vivid description in the Pittsburgh area and online. Her book, The Heart and Craft of Lifestory Writing has helped thousands create written legacies of their lives and her award-winning blog, The Heart and Craft of Life Writing, which began in 2007, has been read by hundreds of thousands of visitors. 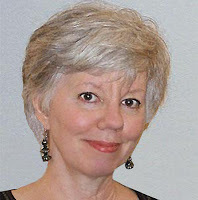 She serves on the Advisory Board of the National Association of Memoir Writers and mentors lifestory writing groups in Allegheny County libraries and around the country. Godspeed on your novel Madeline. If I have given you inspiration to make it even more compelling, my purpose is fulfilled. They say it takes distance and fresh eyes to see the true value of a creation. I thank you for sharing what your fresh eyes have seen in mine. Thank you, Sharon, for writing such an inspiring book. Sharon, as you know, I’ve got it on my Kindle. But I’m whelmed over, as they say, so I don’t know when I’ll get to it … might take peeps before a solid sit-down read. Madeline has just been very helpful regarding permission for the use of excerpt. Do you have any experience/advice to share? Sharon, as you know, I’ve got it on my Kindle. But I’m whelmed over, as they say, so I don’t know when I’ll get to read it properly … will be sneaking peeps, though. Madeline has just been enormously helpful regarding permission to use quotes/excerpts; did you use any in this book and if so, any advice? I put required attributions for the Creative Commons images on the copyright page of the print edition and live links in the ebook versions. Other than that, the few lines I cite from published works … no. It’s clear where they came from, and IMO, they are free publicity and fair use. I hope I don’t have occasion to learn the error of my ways and pay dearly for the lesson.